Got 'twin' images? Image Comparer will find them! Got "twin" images? Image Comparer will find them! Furthermore, Image Comparer can identify duplicate images even if they have different sizes and resolution settings. Program's unique algorithm can even identify similar images. The program shows the degree of similarity; 100% means the two images are identical, 95% means that one of the images was probably altered and so on. The program is of great interest to professional photographers, designers, and webmasters who have "image-heavy" sites to maintain. Image Comparer is incredibly fast; after a minute or two one can see how many duplicate messages are stored and how much disk space will be saved by removing the duplicates. The "dupes" can then be removed all at once with one button click. Alternatively, a user can specify which images need to be deleted, moved or copied. 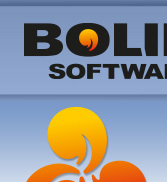 Image Comparer 2.0 is distributed electronically over the Internet; free trial version is available at https://www.bolidesoft.com/ for evaluation for 30 days. The trial version identifies duplicates but does not allow moving, deleting or copying them. Bolide Soft is an independent software developing company known for its line of multimedia utilities. Besides Image Comparer, the company produced two media cataloging applications - All My Books and All My Movies.